I love that not only is this Clever Cat version a good visual aid for the children, it is something that they can hold and manipulate as well. 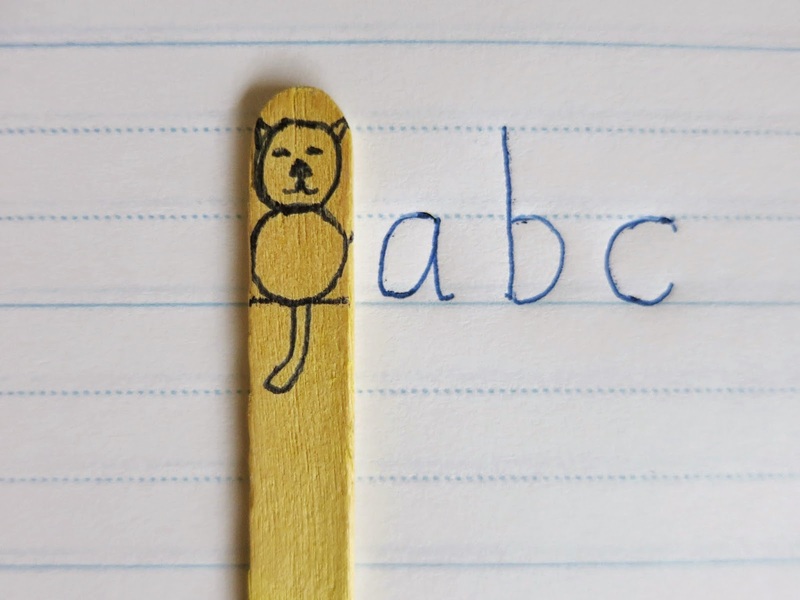 Clever Cat on a stick can move along the page with children as they write, to assist in keeping their writing between the right parts of the lines. Clever Cat can also be used as a spacer between words. - Start by introducing the concept of "Clever Cat" to your children and discussing what each body part represents and how Clever Cat can help us. - Draw Clever Cat on lined paper between the correct lines and let your children also practice drawing Clever Cat. Can they get his body sitting right on the solid line and up to the first dotted line? - Depending on their control and fine motor skills, you may want to draw Clever Cat on the craft stick for your children. 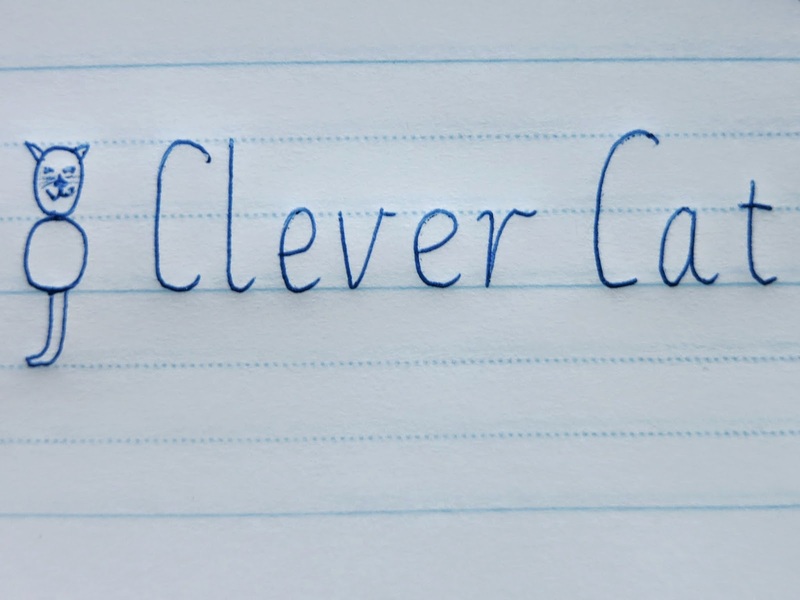 - Before each writing session, have a little discussion about Clever Cat as a reminder of how they can use this tool to both motivate them and to assist them in forming letters correctly between the lines. You don't need to tell the children, first see if they can tell you. - To first begin handwriting between the lines with children, find the widest dotted-thirds that you can. 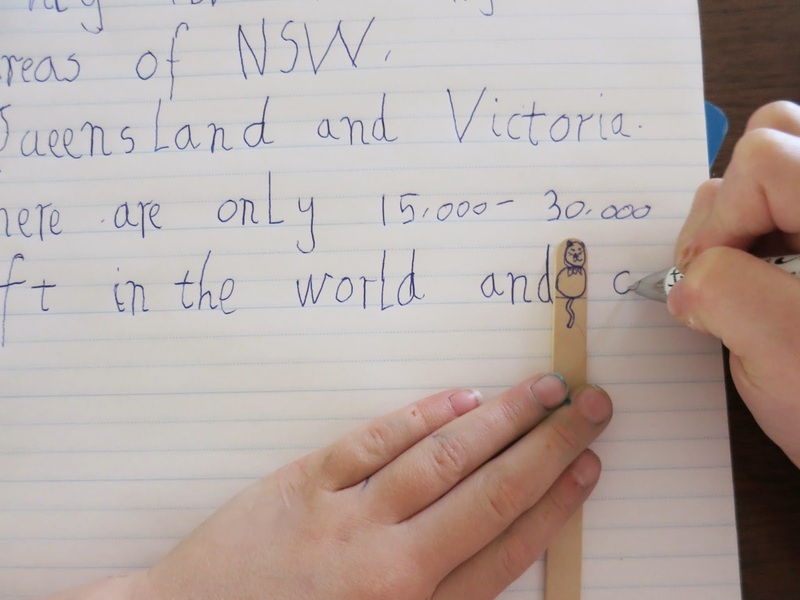 As they get older and their control gets better, children start using lined paper with the dotted-thirds closer together, forcing them to write smaller. Maddie (aged 5) uses a "24mm Thirds Ruled" writing book at home. Buy them where you would buy school stationery (eg. Officeworks). I haven't seen this before in SA schools but I can see why kids would love it. WRAP talks about making something a focus like 'sitting our letters on the line' or 'making our tall letters tall' but the visual would certainly be helpful for some. oooh thank you! This might help my boy who 'hates writing' and 'can't do it' and 'always gets it wrong'... it frustrates him so much that he can read super well, spell super well, but struggles with writing! I love Clever Cat (I've never heard of him before) but I LOVE him. My little guy is going to love him too :) And M's writing is incredible. She must really enjoy writing. I really love this! I love how it doubles as a spacer too! Like Nicole, I haven't seen it in SA schools but I'll definitely be using it in the future! What a cute and clever idea. I've seen it before but not explained this well. Thanks! Saw this this morning and HAD to make some clever cats for our homeschool. So cute, and I think it may help make writing those letters click a bit better for my youngest! Oh my! What a wonderful idea for writing! Why haven't I seen this before?! Thank you for sharing! 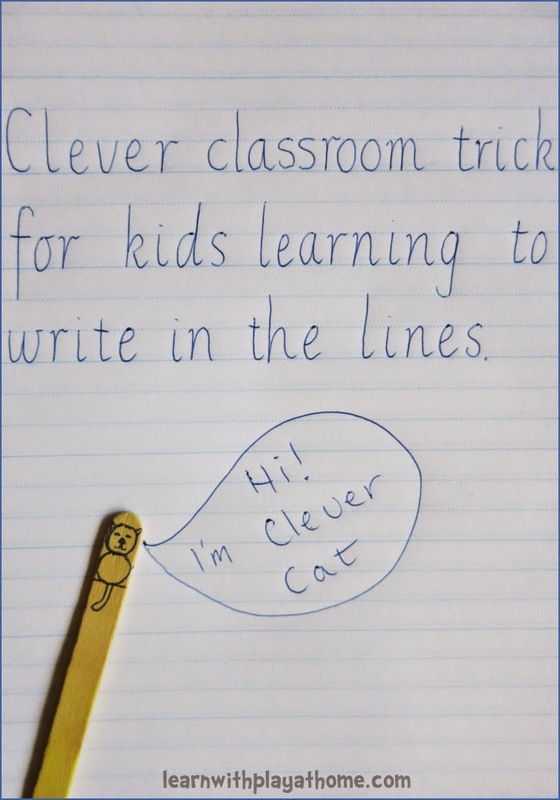 My little ones love clever cat - haven't used it on a stick though - great idea from a few who are struggling. I find ruling the solid line in another colour helps too. Like you said earlier, anything to help them! What a cute idea - I might have to try it with a bird (a parrot so it can have a tail) for my Avian obsessed stepson!